Remember the time when a lifted 911-based, twin turbocharged, four- wheel-drive car participated in a race called the Paris to Dakar Rally? The year was 1984 and the choice of weapon was a heavily modified all-terrain Porsche 959 built for the Dakar Rally. This hi-tech supercar was built to cope with harsh desert terrain and a marketing stunt to prove the versatility and capabilities to place Porsche on the supercar map. The end result was a road version Porsche 959 that was technology years ahead of its time when comparing to supercars available at that time such as the Ferrari Testarossa and Lamborghini Countach. 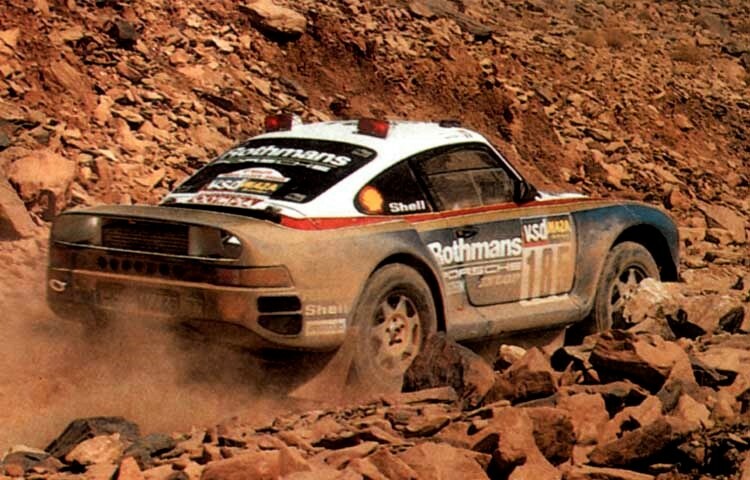 At the time Porsche was already successfully competing in Dakar with a turbo charged 911, dubbed as the Porsche 953. At the time Porsche was an individual car manufacture and finances were robust enough to campaign a marketing strategy that involved racing and winning. 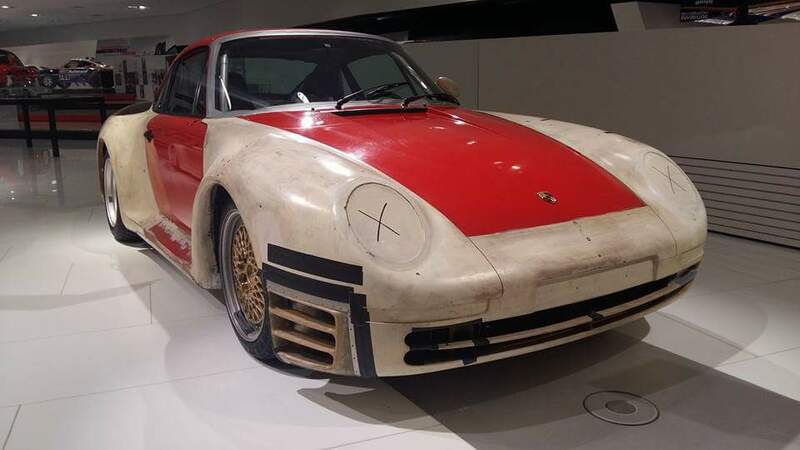 The money spent on racing was indirectly inherited to enhance the development of future Porsche road cars and this is how the 959 project was approved. The FIA Group B World Rally Championship was the most popular choice and sophisticated rally category at the time. However the highly competitive class only meant that it would have cost more money to have a chance to win against cars such as the Audi Quattro, Lancia Delta S4, Peugeot 205 and Ford RS200. At the time Porsche was only manufacturing about 50k cars a year and could not overcome such a budget, hence was reluctant to compete in this very competitive environment were rivals had many years of development and experience would be difficult to overcome. On the other hand, the Dakar rally involved dated Range Rovers, Mercedes G-Wagons and Mitsubishi Pajeros alike, but the soon to be rally built Porsche 959 would be a world away from these boxy and bulky vehicles of the Dakar Rally. This made cost-effective sense or Porsche to enter the high-profile Paris-Dakar rally, known to be the toughest rally in the world. 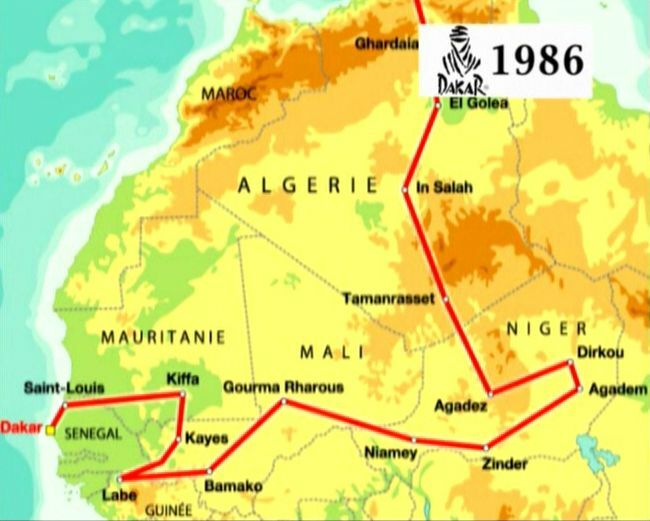 The Paris-Dakar crosses Africa’s deserts and savannahs for 13,800 kilometers. To demonstrate Porsche's latest technology three modified 959s with the Rothmans livery and excellent venue to demonstrate the 959's capabilities to cope effortlessly with the wide-ranging conditions. In 1985 was the first year we had a glance of the Porsche 959 body lines, and made its appearance in the African desert with 3 homologated 959 cars. But this was not a good year as all the cars failed to finish the rally, two were involved in accidents, and the third suffered a broken oil pipe. 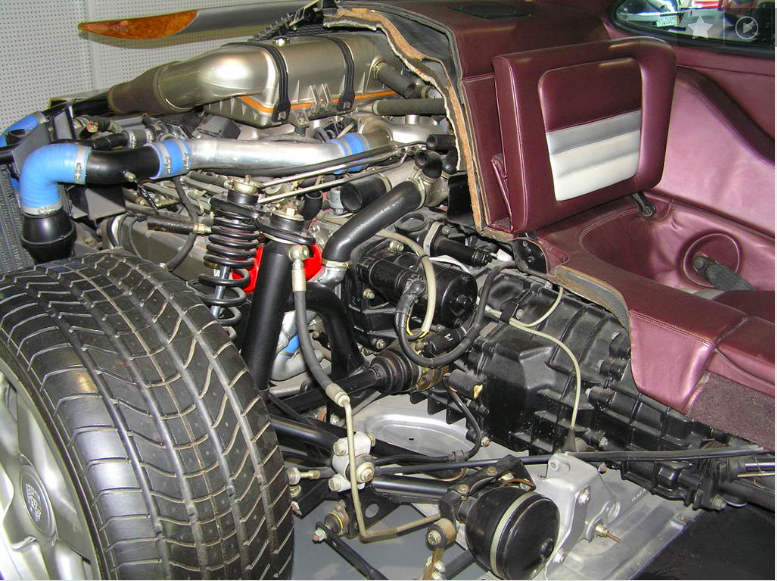 Despite this, Porsche decided to return to the Sahara desert in 1986 with a 400hp twin-turbocharged drivetrain opposed to the 1985 setup with the 911 Carrera's 3.2-litre normally aspirated engine with 230hp only. This later drivetrain would be adapted to the road going Porsche 959. Also note that the new twin-turbo engine was in fact detuned to 400 hp to be compatible with the inferior fuel that was available in Africa. This turned out to be a success and in 1986 two out of the three Porsche 959 Dakar Rally vehicles finished first and second place (René Metge/Dominique Lemoyne and Jacky Ickx/Claude Brasseur). The third car which was actually intended as a support vehicle (it picked the spare tyres, and repairment kits for the other were driven by Porsche support engineer Roland Kussmaul, finished in sixth place out of the 486 vehicles that started the race. The rules state that in order to compete the Rally each manufacturer is to meet the homologations rules, this required Porsche to build at least 200 road cars. Porsche on a tight schedule and limited budget used a modified 911 platform. This very 1986 Porsche 959 in the video would be the reason the Porsche 959 exists and the technology derived from it into future generations of the 911. In 1987, a year after their victory in Dakar the Porsche 959 finally hit the showrooms and turned out to be one of the 1980s' ultimate supercars. It could even be considered the first modern supercar with technology such as adjustable-height suspension, twin-turbos, and a sophisticated all-wheel-drive system. The 959 is one of the most desirable cars of the 1980s, and is fast becoming one of the most desirable cars ever built. Porsche has produced 288 959s between 1987 and 1988, only ending production early because the cars were costing twice as much as they had budgeted for. Note that in 1992 some wealthy businessmen paid a wealthy sum for Porsche to consider to build another 8 cars (959-92) using leftover tubs and spares. The choice of colors to be had were white, black, silver, red with some special colors made to higher paying customers such as black, blue-metallic, golden, bronze, dark red, purple and dark green.